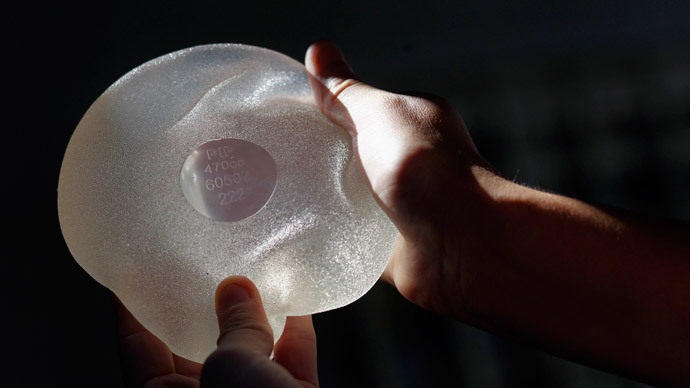 Thousands of women in the UK who were given faulty breast implants could have been eligible for compensation – if they submitted their claim by Friday, a solicitor said. More than 50,000 British women are thought to have been fitted with implants using industrial grade silicone, which is intended for use in mattresses. French firm Poly Implant Prothese (PIP) manufactured the implants from the mid-1990s and was found liable for the faulty silicone by a court in France last year. Women who have had PIP implants are more likely to suffer sudden ruptures – experiences which have left many feeling traumatized. Solicitors representing victims of the faulty implants were urging women to lodge their claims before Friday, March 27. The Stanton Fisher Group, a legal firm representing PIP patients around the world, estimates the total pay-outs for UK women could reach half a billion pounds. “Anyone living in the UK should consider making a claim now,” solicitor Steven Hulme, from Stanton Fisher, said before the deadline. “Women who have had PIP implants simply need to prove they had the surgery undertaken. There is no requirement for the implants to have ruptured or still be in place to pursue a claim...the victims of the PIP breast implant scandal have been cruelly and criminally treated and we are determined to get justice and financial compensation for them,” he added. An Irish woman who suffered a sudden rupture of her PIP breast implant while driving told the Irish Independent that she lost confidence after the incident. The woman, who preferred not to be named, described how she felt uncomfortable in front of her partner because she only had one breast for six months, as her left breast had ruptured. “On one occasion on my way to the hospital it burst in the car and began leaking all over me. It's hard to describe how bad an affect it had on me,” she added. PIP founder Jean Claud Mas was sentenced to four years in prison for fraud last year by a French court. In November 2013, a court in Toulon, France, ruled that German safety firm TUV Rheinland, which had certified the silicone implants, is liable to pay compensation for failing to perform proper checks. The ruling, which is pending a Court of Appeal judgment, could result in TUV Rheinland having to pay compensation to women around the world.